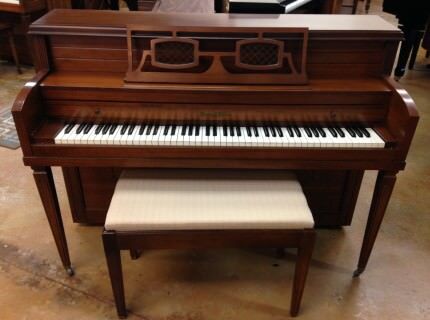 Finance Options: 0% financing on this piano with as little as 30% down! 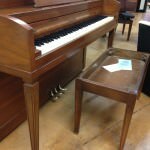 Very few piano makers contributed to the American piano industry at large as much as the renowned Henry F. Miller Piano Company. 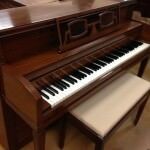 Established in 1863, Henry F. Miller built high quality, expensive pianos in Boston for well over a century. In the 19th Century, Boston was home to a large population of old world craftsmen who had immigrated to the United States from the old country. 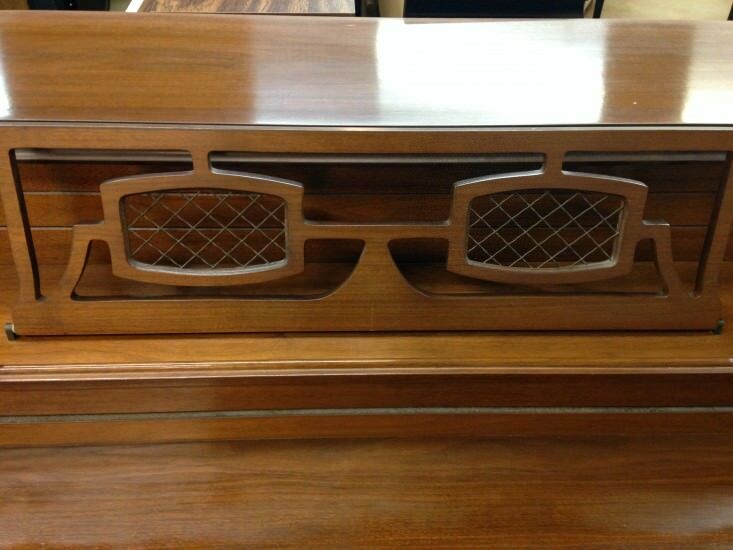 These craftsmen possessed amazing skill in woodworking and piano building, and Henry F. Miller was in a position to take full advantage of this amazingly skilled workforce. 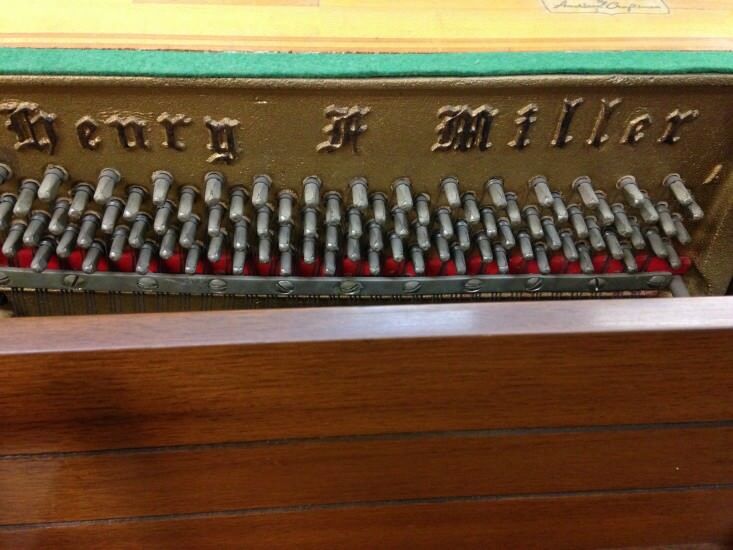 Like most other Boston firms, Henry F. Miller enjoyed a reputation for building truly exceptional pianos. 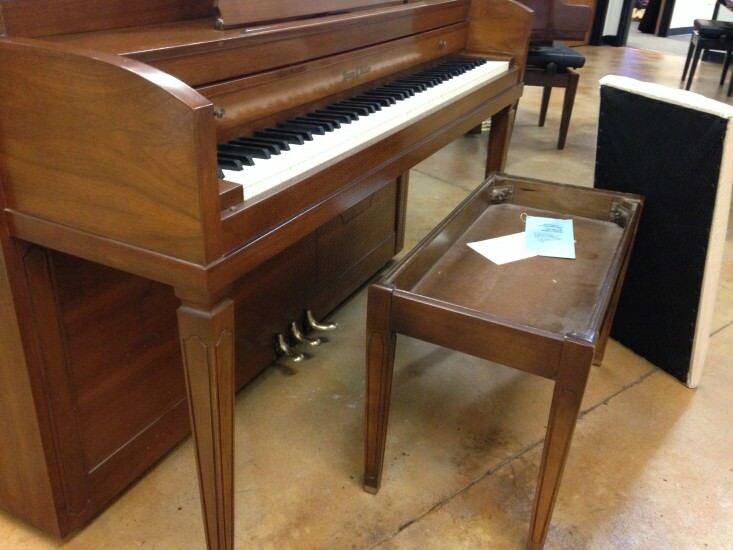 In the early years, Miller produced a full line of uprights, squares, and grand pianos. 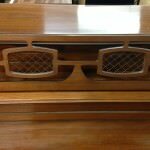 They also built a line of ‘Pedal Pianos’, which were conventional pianos equipped with a full pedal board to aide in organ instruction and practice. 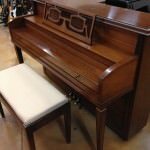 They introduced their player piano line after the turn-of-the-century, and built player pianos until the Great Depression era. 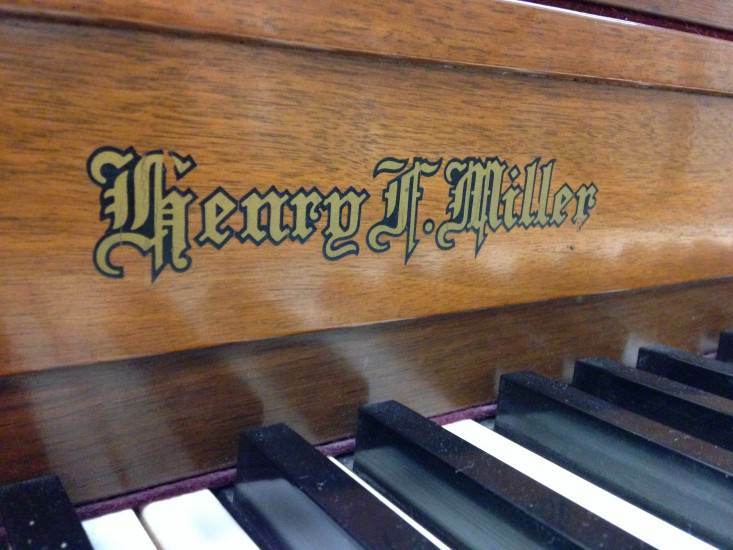 In the 1920s, Henry F. Miller became part of the Continental Piano Company. Later the company became part of industrial giant Aeolian-American Corporation. The Henry F. Miller brand continued to be built by Aeolian until the 1980’s. 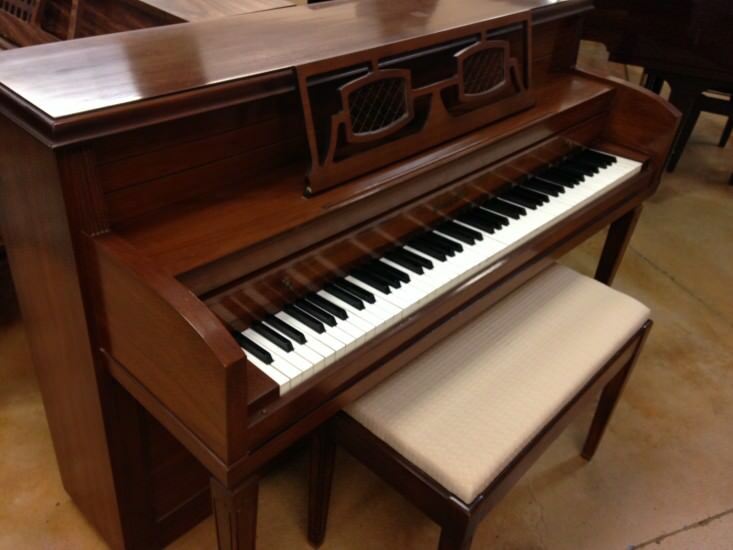 Today, Henry F. Miller is being built in China and marketed in the United States as an Asian import piano. Boston, 1863. 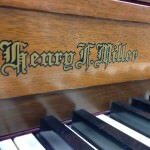 A classically trained musician named Henry F. Miller joins expert designer J.H. Gibson in founding a new piano company. 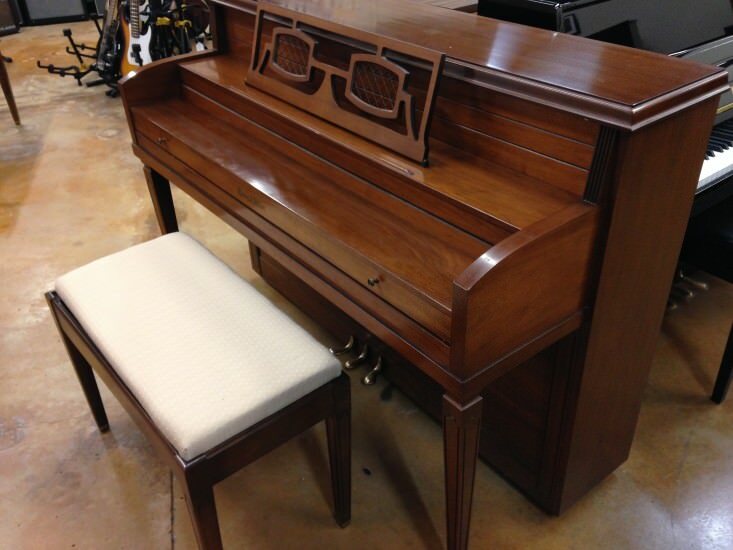 Miller had worked for seven years at another piano maker, learning his craft. 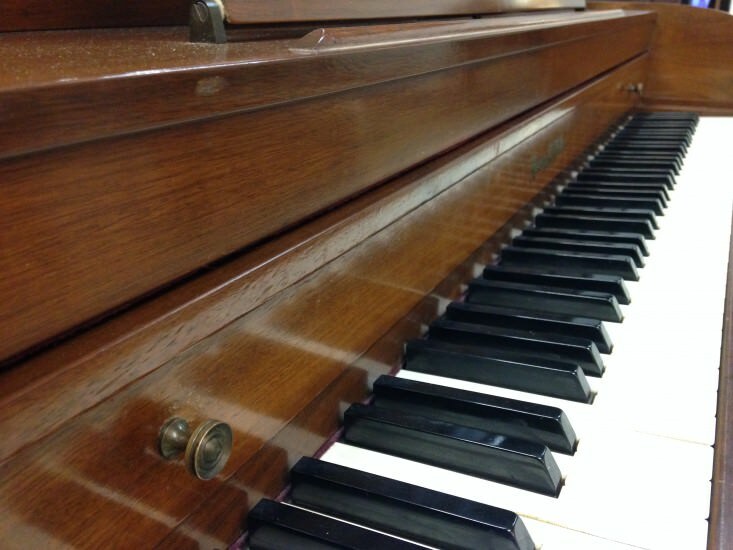 But as a performer, who had earned a reputation at the keyboard, he knew he could create a piano with the dynamics and aesthetics an artist could love. Miller and Gibson’s new instruments were such a success that Miller’s five sons were brought into the business. 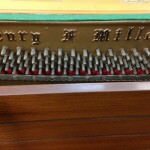 Under the leadership of Henry F. Miller, Jr., they improved and refined their pianos, and by the turn of the century, many virtuoso performers demanded Miller & Sons pianos for their concert work. The Henry F. Miller plant, as it appeared in 1898, was typical of the industrial architecture of the day. Factories were built within cities to ensure a large labor pool. However, the space restrictions of most cities necessitated multi-story factories. Over the next century and into the present, Henry F. Miller pianos have continued to be valued for their character as instruments and for the distinction of their design. The Henry F. Miller commitment to excellence has been indisputable for over 135 years. Only the finest hardwoods and other materials are selected and delivered into the hands of skilled craftspeople. 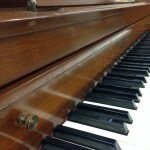 Their attention to detail and scrupulous quality control insure the instrument you select will last for generations.